Perhaps most renowned for his tenure as the Music Director of the Bolshoi from 2001 to 2009, Alexander Vedernikov’s international reputation has gone from strength to strength over the past decade and is in high demand as a guest conductor. He works regularly with a list of orchestras that includes the London Philharmonic Orchestra, Danish National Symphony Orchestra, BBC Symphony Orchestra, Orchestra Verdi, Milan, NHK Symphony, Netherlands Radio Philharmonic, City of Birmingham Symphony, Orchestra della Svizzera Italiana (with Martha Argerich at the Martha Argerich Project in Lugano), Netherlands Philharmonic, Orchestre Philharmonique de Radio France, Gothenburg Symphony, Bergen Philharmonic and the Czech Philharmonic. He has also worked with the Sydney Symphony, Bayerischer Rundfunk Symphony Orchestra, China Philharmonic Orchestra, Staatskapelle Dresden, Montreal Symphony, Tokyo Philharmonic, the National Symphony Orchestra in Washington DC and many others, while recent debuts with the Orchestre de Paris and Bournemouth Symphony both resulted in an immediate reinvitation. In September 2009 Alexander took up the role of Chief Conductor of the Odense Orchestra in Denmark. 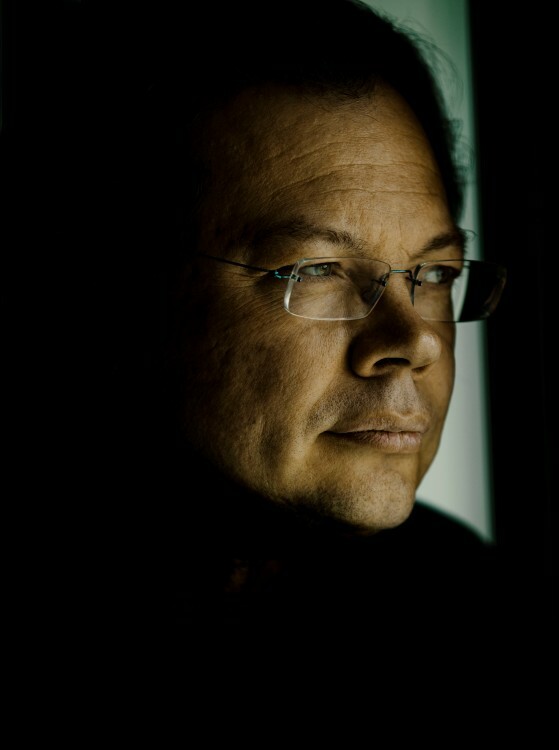 In the field of opera, Alexander Vedernikov is now a frequent conductor at Berlin’s Komische Oper, and has worked throughout Italy at La Scala Milan, La Fenice, the Teatro Comunale Bologna, the Teatro Reggio Turin, and Rome Opera. In April 2005, he made his debut at the Bastille Opera in Paris conducting a new production of Boris Godunov directed by Francesca Zambello. In 2010 he made a highly successful debut at the Finnish National Opera. In 2012/2013 he makes his debut at the Zurich Opera and the following season at The Metropolitan Opera in New York conducting Eugene Onegin. Alexander Vedernikov was Music Director and Chief Conductor of the Bolshoi Theatre from 2001 until 2009 and has been credited with rebuilding the Bolshoi Theatre’s historical reputation for artistic excellence. He led many productions at the Bolshoi, including a new production of Boris Godunov in the original Mussorgsky orchestrations (2007), Tchaikovsky’s Eugene Onegin (2006), Puccini’s Turandot (2006), Prokofiev’s Cinderella (2006), Prokofiev’s War and Peace (2005/2006), Leonid Desyatnikov’s The Children of Rosenthal (world premiere, commissioned by the Bolshoi Theatre), The Flying Dutchman (2004), Prokofiev’s The Fiery Angel (2004), Ruslan and Ludmila (2003), Turandot (2002), Khovanshchina (2002) and Adriana Lecouvreur (2002). He was also responsible for developing the Bolshoi’s programme of symphonic concerts, and has featured very broad repertoire, including Prokofiev’s Cinderella, Berlioz’s La Damnation de Faust, Verdi’s Requiem, scenes from the operas of Wagner, and music by Richard Strauss, Alban Berg, Dmitry Shostakovich, and Georgy Sviridov. Under his direction, the orchestra of the Bolshoi toured extensively, including to Athens, Hamburg and Paris in February 2008 and a season of opera and ballet at the Royal Opera House, Covent Garden in July 2006 (including The Fiery Angel and Boris Godounov) where the orchestra in particular was singled out for its exceptional playing. Opera and symphonic performances at La Scala were equally successful. Alexander completed his musical studies at the Moscow Conservatory in 1990 and from 1988-90, he worked at Moscow’s Stanislavsky and Nemirovich-Danchenko Music Theatre. From 1988-95, he was assistant to the chief conductor and second conductor of the Tchaikovsky Symphony Orchestra (formerly Gosteleradio’s Bolshoi Symphony Orchestra), whom he accompanied on many tours in Russia, Austria, Germany, Greece, Turkey and Great Britain. In 1995, he founded the Russian Philharmonia Symphony Orchestra and was Artistic Director and Chief Conductor of this orchestra until 2004. He has conducted Russia’s State Symphony Orchestra and the Academic Symphony Orchestra of the St Petersburg Philharmonic. Since 2003, he has been a member of the conductors’ collegium of the Russian National Orchestra, with whom he has toured in France, Germany and the United States. In January 2004, as part of the Russian National Orchestra’s tour of nine cities, Alexander Vedernikov made his debut at Carnegie Hall and the Kennedy Centre, Washington. Russia’s great institutions of music and theatre and their distinctive traditions have played a decisive role in shaping Alexander Vedernikov’s artistry in many ways. The conductor, born in Moscow on 11 January 1964, was raised in a musical family. His father, also named Alexander, was famed throughout the Soviet Union and beyond for his interpretations of such roles as Boris Godunov and Kutuzov in Prokofiev’s War and Peace; his mother, Natalia Gureyeva was a professor of organ at the Moscow Conservatory. His deep commitment to Russian repertoire reaches far beyond the central range of romantic and 20th-century masterworks by Musorgsky, Tchaikovsky, Rachmaninov, Prokofiev and Shostakovich. He is a tireless champion of the work of Georgy Sviridov, Mieczysław Weinberg and Boris Tchaikovsky and has also cast fresh interpretive light on substantial compositions by Taneyev and Glinka.